Your baby will only be this small for a short period of time. Let’s capture their chubby cheeks, fuzzy hair, tiny fingers and toes, squishy lips and tiny smirks. We love to capture siblings and parents as well, so we include any family member that would like to be involved. That also includes grandparents! Bring the fam! Guess what! We have something special for you for booking a newborn session! We want to see you more then just once, so you are put exclusively into out Belly Grow program! Come in once a month to capture your growing belly and receive 1 digital image per month. Then during your last month of pregnancy, we can make a special growth wall art for you to hang to show your baby! How sweet! It’s best to book your due date on our calendar 3 months before. 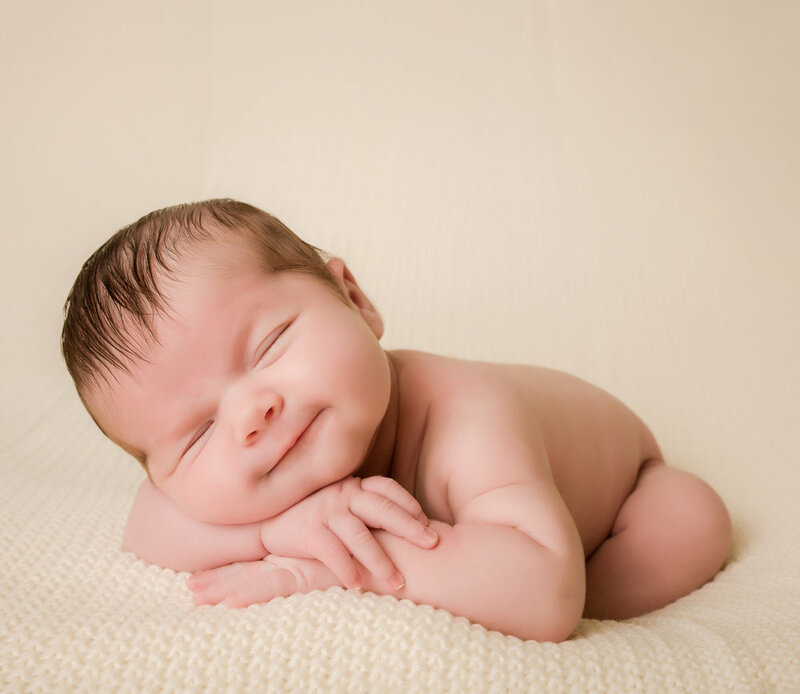 We only take 5 newborns a month so that we can give our clients the best experience. We also want schedule your design consultation so we can go over all of your expectations for your sessions. How long after birth do we do the photo shoot? We like babies to be between 12-20 days new. Online you will see many sites say 7-10 days but we find that nursing mothers are still growing their milk supply and some many need additional doctors appointments. We find the best days to be between 14-16 days. Of course, we have photographed sooner and later then 20 days, so if baby needs come extra time in the NICU or appointments we are always flexible! What if your baby comes easy and need extra time in the NICU? Not a problem! We have photographed babies 6 weeks and older as well. You just take the time to think about recovering and supporting your little peanut! I found some Pinterest ideas, can we do them? Absolutely! We use pinterest boards are a guide. Not all babies go into certain poses. We take your pinterest board and add it into our workflow for your session. Sometimes babies do not like to be naked or do not like their fingers fussed with, so if babies become uncomfortable or fussy, we then move onto the next pose in our workflow. We average about 10-20 different set ups.